New Delhi, October 31: The Supreme Court on Wednesday asked the Central government to disclose information on Rafale deal which can be legitimately put in public domain. The Apex Court also asked the Centre to give details of the pricing and strategic details of Rafale aircraft in a sealed cover to the court within 10 days. The government said such details would be covered under the Official Secrets Act. In its ruling on Wednesday, the top Court also asked the Centre to provide information on induction of Indian offset partner be furnished to petitioners who have filed PILs. 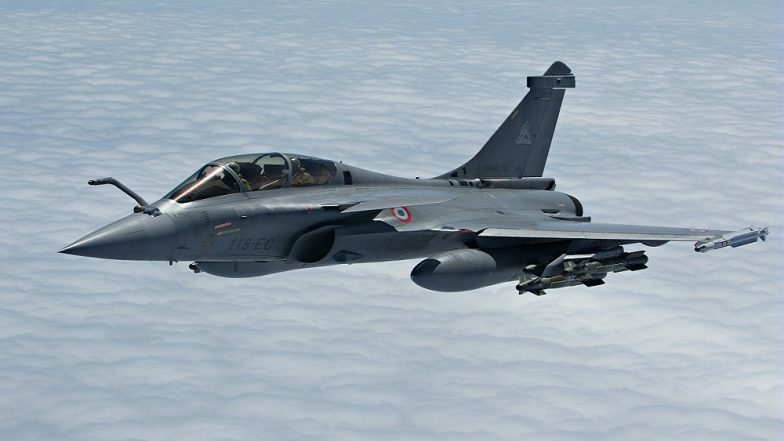 The court is hearing petitions, including those filed by former Union Ministers Yashwant Sinha and Arun Shourie, into the Rafale deal between India and France. Centre Submits Details of Aircraft Pact With France in Sealed Cover to Supreme Court, Hearing on October 29. On October 10, the Supreme Court had told the Centre to provide details of the decision making process in the Rafale fighter jet deal in a sealed cover. The apex court bench comprising Chief Justice Ranjan Gogoi and Justices S K Kaul and K M Joseph, however, made it clear it does not want information on pricing and technical details of the deal with France. However, on October 27, the Central Government had submitted the details of the decision-making process pertaining to the Rafale deal to the Court Secretary-General in a sealed cover. Congress Takes A Dig At Modi Government For Adopting Different Yardsticks For Rafale And AK-103 Deals. The Rafale deal is a defence agreement signed between the governments of India and France for the purchase of 36 Rafale fighter aircraft in a fly-away condition as a part of the upgrading process of Indian Air Force equipment. In 2012, during the United Progressive Alliance’s (UPA) tenure, India planned to buy 18 off-the-shelf jets from France, with 108 others to be assembled in the country by the state-run aerospace and defence company Hindustan Aeronautics Limited.